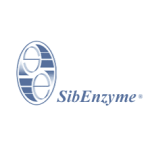 SibEnzyme Ltd. (Siberian Enzyme, SE), is a privately owned Russian company founded in 1991. SibEnzyme Ltd. is located in Academtown near Novosibirsk city – the capital of Siberia and a geographic center of Russia. SibEnzyme’s primary focus is production of enzymes and related products for molecular biology, PCR and genetic engineering. SE product line includes more than 200 enzymes, several perfect DNA ladders, high quality dNTPs and DNA preparations. SibEnzyme Ltd. is one of the leading companies in restriction endonucleases production. Sibenzyme Ltd. is a world leader in research and development of new DNA endonucleases. A novel type of DNA endonucleases, 5-methylcytosine-directed site-specific DNA endonucleases, have been described in SE laboratories. SibEnzyme Ltd is ISO 9001:2008 certified.